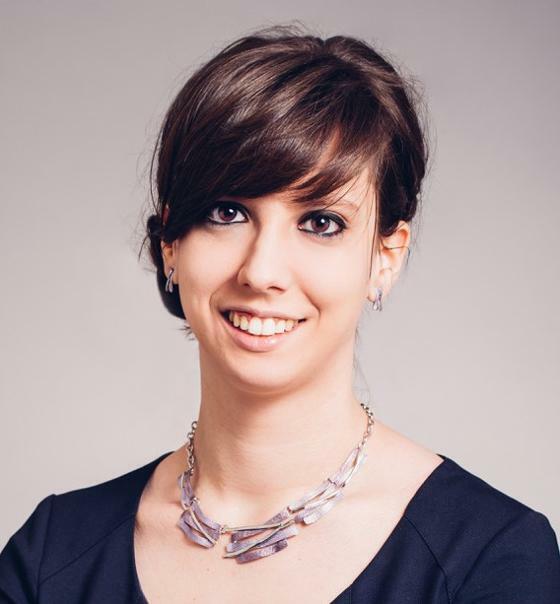 Also in November we got one brand new doctor when Dr. Selenia Ternullo excellently defended her Thesis entitled “Nanocarriers for tailored skin delivery: More than just the carriers?”. We all congratulate the new doctor, wish her a warm and nice Christmas in Sicily and really all the best for her future carrier! Our doctor of the month, Dr. Jostein Grip excellently defended his Thesis entitled “Development of novel wound dressings with soluble beta-glucan (SBG®) as an active ingredient”. We all congratulate the new doctor and wish him good luck with his future carrier! 14th of September 2018, Dr. Sveinung G. Ingebrigtsen excellently defended his Thesis entitled “Novel dual centrifugation manufacturing method for liposomes-in-hydrogel: Potential in antimicrobial skin therapy”. We all congratulate the new doctor and wish him all the best for the future! 24th of May 2018, Dr. Richard Fjellaksel nicely defended his Thesis entitled "Development and evaluation of gonadotropin releasing hormone antagonists as SPECT radiotracers". We all congratulate the new doctor, wish him all the best in the future and hope that we can continue to collaborate! 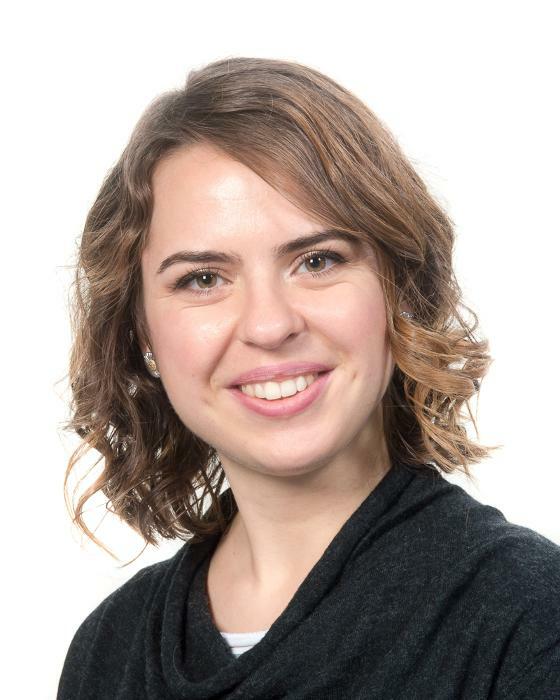 PhD student Jennifer Cauzzo has joined our Group. We are very happy to welcome her, hope that she will enjoy working with us and wish her good luck with her PhD project! Last week we were so lucky to get a excellent guided tour by our former pharmacy student Kristian Forsberg at the construction site of the new PET center in Tromsø. We were very much impressed by the fasilities and the impressive job done by Kristian Forsberg and the other pharmacists in achiving the GMP standards. Poster prize at international conference! 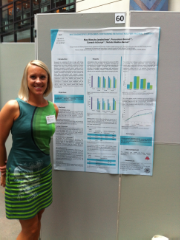 PostDoc May Wenche Jøraholmen got the poster prize for her poster entitled "Topical vaginal therapy: PEGylated liposomes improve delivery of interferon alpha" at the 31st Congress of IUSTI -Europe on Sexually Transmitted Infections, 31. aug – 2. sept in Helsinki, Finland. The project is funded by Norske kvinners sanitetsforening. We congratulate the winner and are very proud of having her in our group! PhD student Marek Šoltsy from University of Chemistry and Technology Prague is visiting our Group for three months as an Erasmus student. 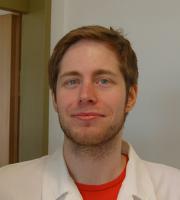 We are very happy to welcome him, hope that he will enjoy staying with us and wish him good luck with the planned experiments! 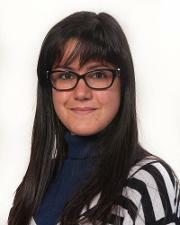 PhD student Margherita Falavigna from Bologna, Italy has joined our Group. 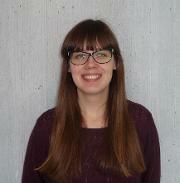 We are very happy to welcome her, hope that she will enjoy working with us and wish her good luck with her PhD project! This week the Master and PhD courses in nanomedicine have been organized at IFA with participants from both Oslo, Bergen and Tromsø. We thank all those giving lectures during this inspiring week! Below are master and the PhD students together during the traditional cake gathering. This is obviously the week for prizes to our group! Our PhD student Selenia Ternullo got the best poster award at the Skin Forum in London for her poster presentation on the isolated perfused human skin flap model. We congratulate the winner and are very proud of her! Our research group Drug Transport and Delivery and our eminent leader Natasa Skalko-Basnet was awarded the Faculty of Health Sciences' Research prize 2016. We were competing with several excellent candidates so we are very proud to receive this prize! 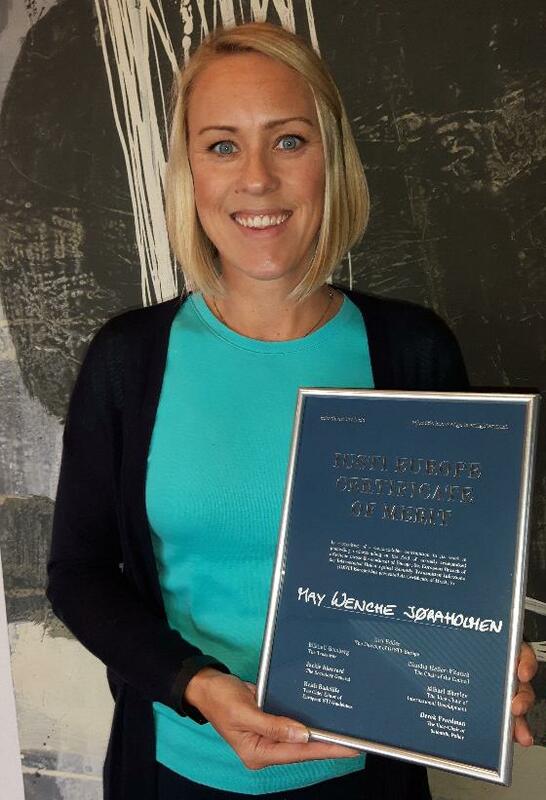 19th of February 2016, Dr. May Wenche Jøraholmen nicely defended her Thesis entitled "Surface modification of liposomes increases drug efficacy in local vaginal therapy"
Her project has been financed by the Norwegian Women's Public Health Association (Norske kvinners sanitetsforening, NKS), and we are greatful for their support of and interest in our research! We all congratulate the new doctor, wish her all the best in the future and hope that we can keep her in our Group a bit longer! Dr Jøraholmen together with her proud main supervisor Prof. Skalko-Basnet. We give you Dr. Staven! 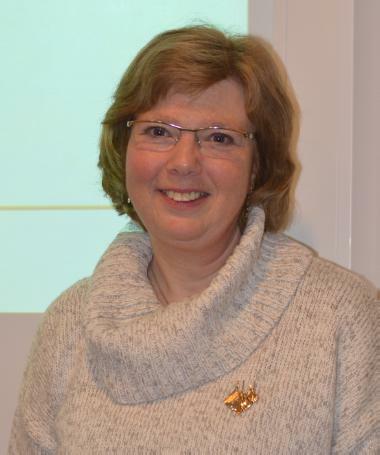 12. of February 2016, Dr. Vigdis Staven defended her Thesis entitled "Y-site compatibility testing of intravenous drugs and total parental nutrition: Establishment of a test program and study of mixtures relevant for children"
We all congratulate the new doctor and wish her all the best in the future! Drug Transport and Delivery Research Group wish everyone a Merry Christmas and a Happy New Year! 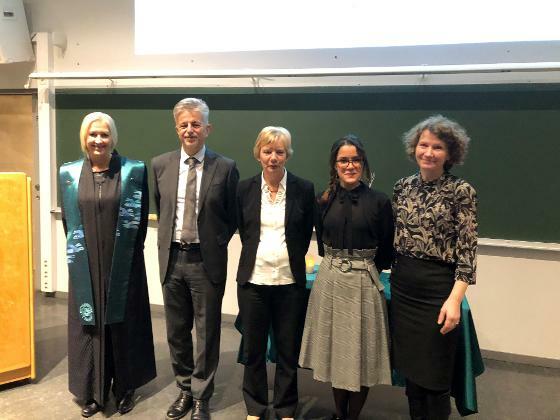 2nd of October 2015, Dr. Toril Andersen excellently defended her Thesis entitled "Novel chitosan-containing liposomes as mucoadhesive delivery systems for vaginal administration"
In the photo Dr. Andersen (in the middle) is surrounded by her proud supervisory team. Our PhD student Sveinung Ingebrigtsen won the Finnish Parmaceutical Society's award for best oral poster presentation during the 6th BBBB in Helsinki. We congratulate the winner and are very proud of him! PhD student Iren Yeeling Wu has joined our Group. We are happy to have her in our Group, hope that she will enjoy working with us and wish her good luck with her PhD project! And another PhD from our Group! 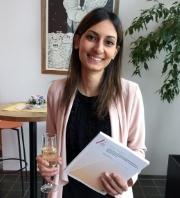 17th of April 2015, Dr. Elenaz Naderkhani excellently defended her Thesis entitled "Development of biomimetic phospholipid vesicle-based permeation assay (PVPA) as screening tool in drug development"
We all congratulate the new doctor and wish her all the best in her future career! 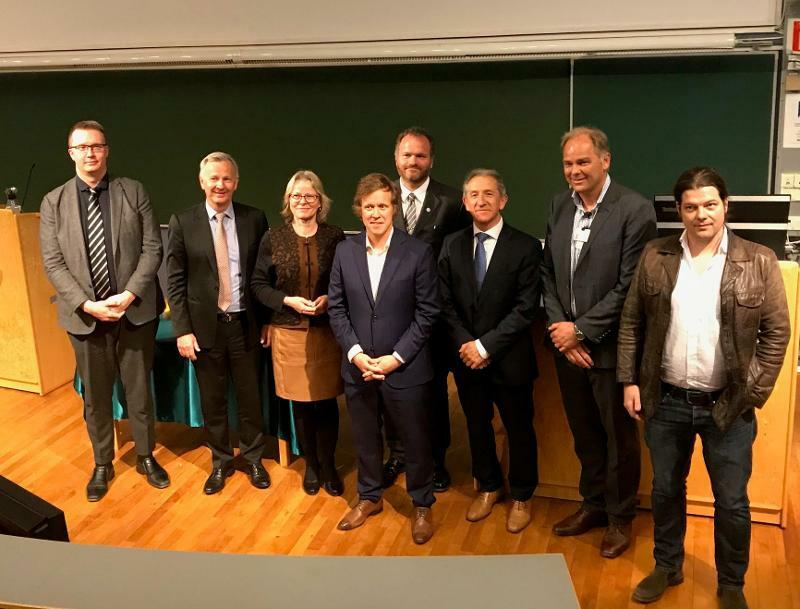 20th of March 2015, Dr André Engesland defended his Thesis entitled "In vitro permeation models for healthy and compromised skin: The Phospholipid Vesicle-based Permeation Assay (PVPA) for skin Applications"
In the photo Dr. Engesland (to the right) is together with his supervisors and the evaluation comitee. We all congratulate the new doctor and wish him all the best in his future carrier! This week the master and PhD courses in nanomedicine have been organized at IFA with participants from both Oslo and Tromsø. We thank all those giving lectures during this inspiring week! Below are photos of the master and the PhD students taken during the traditional cake gathering. 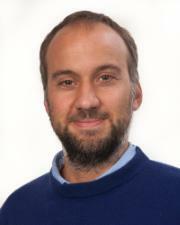 Dr. Massimiliano Pio Di Cagno has today join our group as Associate Professor. 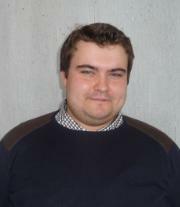 We are extremely happy about the new addition to the group and hope that he will enjoy working with us! 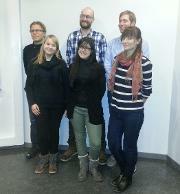 Three new PhD students, Selenia Ternullo, Jostein Grip and Rikard Fjellaksel, have joined our group. 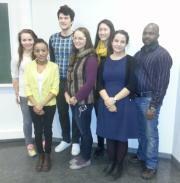 We are happy to have them all in our group and hope that he will enjoy working with us! Liisi Rammo from University of Tartu, Tartu, Estonia and Marek Petracek from Palacky University, Olomauc, Czech Republic are visiting PhD students in our Group this spring. We welcome them both and are very happy to have them on board. 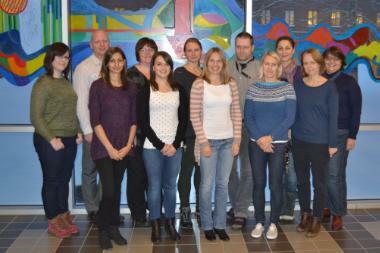 This week the national PhD course in nanomedicine has taken place at IFA with participants from both Oslo, Bergen and Tromsø. We thank all those giving lectures during this week, especially our guests professor Jyrki Tapio Heinämäki from University of Tartu, Estonia and professors Hanne Hjorth Tønnesen from University of Oslo. Professor Hanne Hjorth Tønnesen from University of Oslo was visiting us as guest professor in our PhD course on Nanomedicine today. 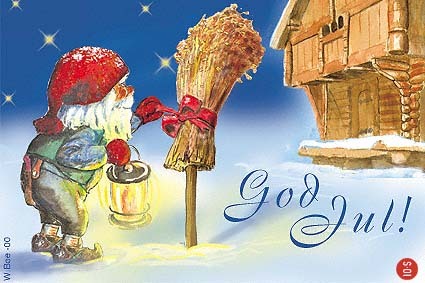 We are very greatful to her and hope she enjoyed her litle stay in Tromsø! 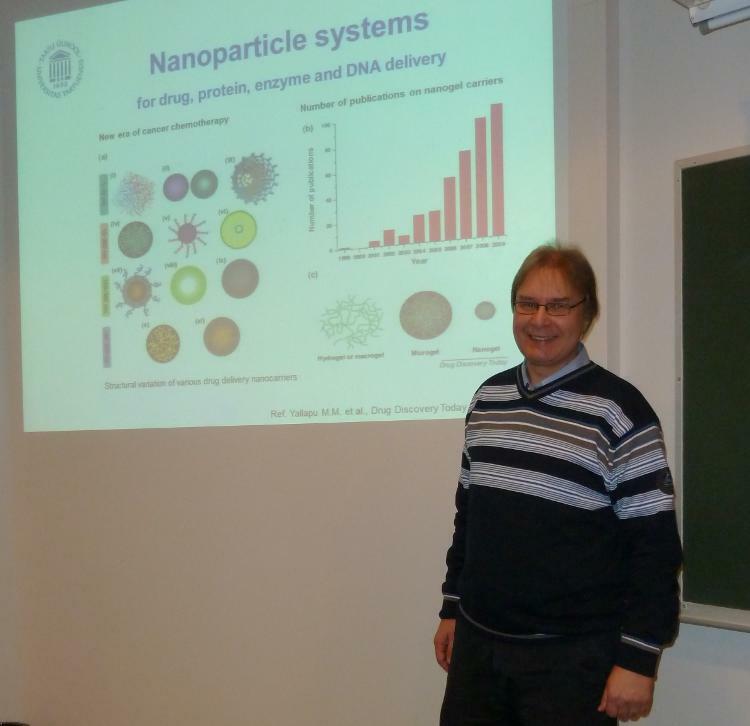 Professor Jyrki Tapio Heinämäki from University of Tartu, Estonia has this week been visiting us as guest professor in our PhD course on Nanomedicine. He also gave a seminar for the Department of Pharmacy with the title "Oral nanomedicin". 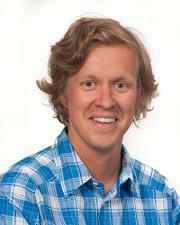 We are very grateful to him and hope to see him in Tromsø again soon!